Tea-light holders in brass with a teak wood base. 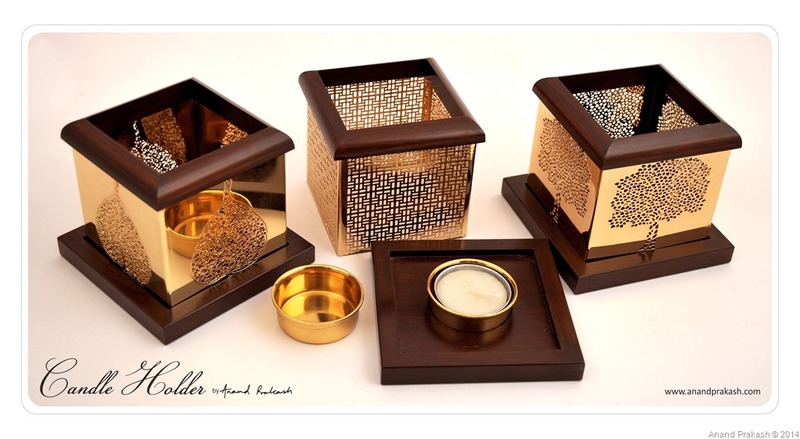 This entry was posted in Whats New and tagged Anand Prakash, Candle Holder, Home, Tea Light Holder. Bookmark the permalink.